K. C. Bateman is the co-founder and director of Bateman’s Auctioneers, a fine art and antiques auction house in the United Kingdom. Now living in Illinois with her husband and children, Bateman returns to England regularly to appear as an antiques expert on several popular BBC television shows, each of which reaches up to 2.5 million viewers. 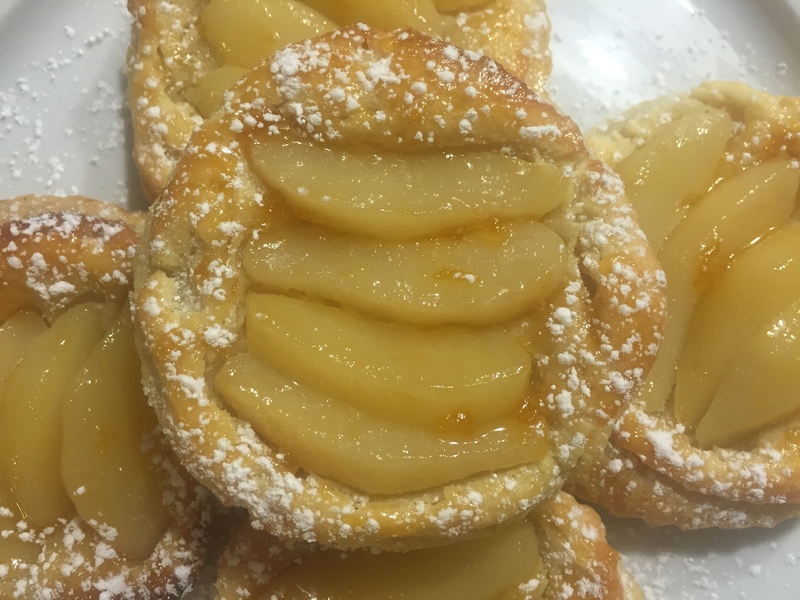 My new historical, To Steal a Heart, is set in Napoleonic France, so what better than a dessert just like my hero, Nicolas—something decadent, irresistible, and deliciously French? 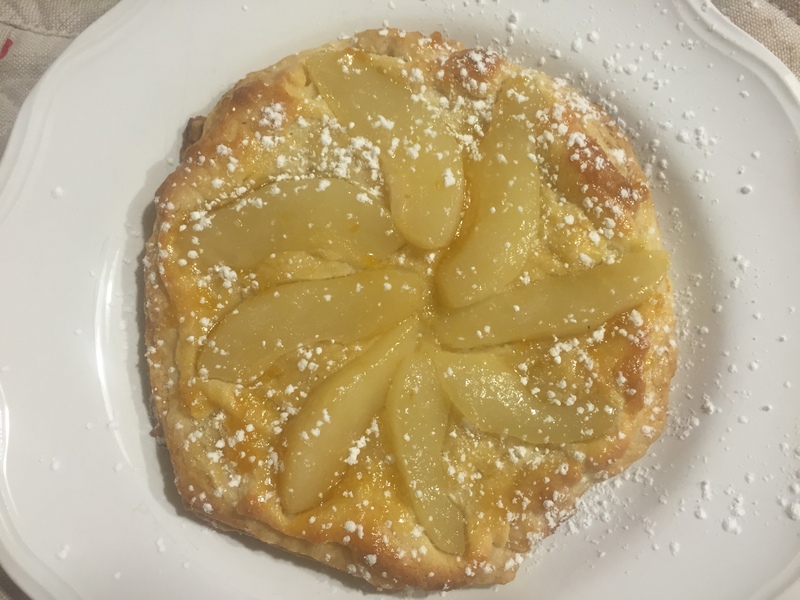 I give you: Pear and Almond Galette Frangipane. I love this recipe because it’s laughably easy, yet looks really impressive. Everyone assumes you’ve spent hours slaving over a hot oven when you have, in fact, spent most of the afternoon curled up with a cup of tea, some chocolate, and a fabulous romance novel. The combination of marzipanny-almondy-paste-goodness and the pears is a match made in culinary heaven. Enjoy, mes enfants! Roll out the pastry and cut into circles. (For individual tartes, use 10cm circles, or just do one big tarte.) Prick with a fork all over. Cream together almond paste, butter, and sugar (either in food processor or by hand in a bowl) then add egg and vanilla extract and mix again. Add flour and pinch of salt, and mix. Arrange pears artfully on top in fans. Brush with melted butter and put in oven at 375F for 10-15 minutes until golden brown. Cool, then brush with apricot glaze. (Microwave a tablespoon of jelly for 30 seconds in a mug to melt.) Finish with a dusting of powdered sugar. Congratulate yourself and open a nice bottle of wine! Voila! You are a European culinary goddess. Serve with cream, if you have any. Who doesn’t wonder if a a few changes here or there—from a new hair color to going back to college to finish a degree—could make a real difference in your life?